What do Apple, Google, Microsoft, Facebook and Coca Cola have in common? Apparently they’re the 5 most valuable brands of 2017. So it’s likely that you’ll see their adverts, products and logos pretty much everywhere you look. Brands are really important as they help organisations and products to stand out from each other. When you see a logo you immediately know what it represents. The blue and white NHS logo is instantly recognisable and people associate it with trust and reassurance. 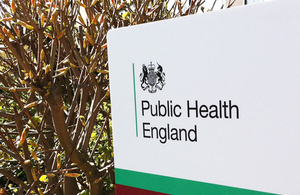 Now that Public Health England (PHE) has been around for over 4 years, its brand is also becoming a lot more recognisable. NHS Screening Programme branding has evolved a lot over the years. These days, we use both the PHE and NHS logos. This shows that while the national screening programmes are led and quality assured by PHE, they are provided and run by the NHS. The branding has changed over time and we have retired some of the logos we used in the past. For instance, we don’t use the words ‘Screening Programmes’ under the NHS logo any more. The UK National Screening Committee (UK NSC), as an independent government advisory body, also has a logo. We know of a few examples where national branding has been used inappropriately on local resources. For instance, a recent annual study day used the UK NSC logo alongside the logos of a number of commercial companies. It also used an out of date quality assurance logo. Another study day used the woman from the antenatal and newborn screening timeline but some of the content of the day wasn’t in line with national screening policy. The biggest danger of using national branding on local resources or events is that it makes it look like the national body has endorsed, or co-produced, the resource or helped to organise the event. This may not be the case. This can lead to a conflict of interest or the association of PHE with out of date or incorrect information which is at odds with national guidance. Using the UK NSC logo next to those of commercial companies could imply that the UK NSC has preferred suppliers or is in partnership with them. Even if national logos are used on information which is in line with national policy, it still muddies the waters in terms of the ownership of the resource and how it was developed. Using out of date logos can also make information look obsolete. The bottom line is that it can cause a bit of a problem and we should all try to avoid it. Having a clear distinction between local screening providers and the national screening teams is in everyone’s interests so we’re clear on who has produced resources and where to go with any questions. Mixing up the branding leads to confusion and we really appreciate everyone’s help in preventing it.